Once rail lines were extended to Kansas it became practical to drive cattle to the these new shipping points, and enterprising ranchers saw an opportunity. New “herds” were created by simply locating a watering place, gathering up mavericks and branding them. Cows were rounded up into herds of roughly 2,500 – 3,000 for the long drives east, and trails were chosen based on availability of water and grass along the way, the objective being to fatten cattle en route. 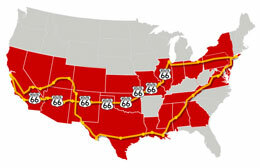 Typical drives moved about 10 to 15 miles a day, with the trip to western Kansas lasting from 25 to 100 days. The first cattle drives from Texas followed the Chisholm Trail, named for Indian trader Jesse Chisholm, north out of DeWitt County, crossing Central Texas near the towns of San Antonio, Austin and Waco toward the Kansas railheads. The trail was not one fixed route, rather it originated wherever a herd was shaped up and ended wherever a market was found, with thousands of minor trails feeding the main one. There were a few fixed points which all the drives used, such as the Colorado River crossing near Austin, Brushy Creek near Round Rock, Kimball’s Bend on the Brazos River, and the Trinity Ford in Fort Worth below the junction of the Clear and West forks. A Trail crew was led by the Trail Boss, an experienced cowboy who had been up the trail before, knew where the grass and water were and also knew the dangers along the way. Typically there were 10 to 15 cowboys who handled the herd. 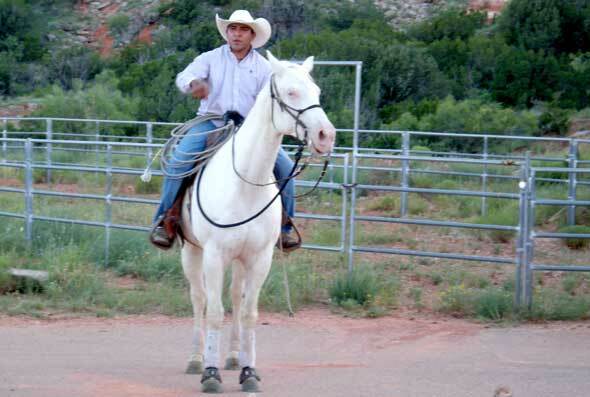 Each cowhand travelled with 5 to 10 horses, who were in turn managed by a horse wrangler (remudero). A cook, responsible for the chuck wagon, completed the team. Hands were paid roughly $40/month. The trail drive began in the late spring when grass was plentiful. During the peak of the season many herds where on the trail at the same time, sometimes only a few miles apart. The cowboys worked specific positions to guide the herd, keeping the animals together in a group traveling at a steady pace. Cowboys at the front of the herd led the way, with others on the side riding “flank.” Those riding “drag” at the back of the herd pushed stragglers forward. Younger cowboys were often given the job of horse wrangler. Their job was to care for the horses used to herd the animals along the long drive north. All the hands shared the night watch in rotation. Cattle don’t move in a group, rather they tend to string out in a long line behind a few natural leaders. A herd of 1,000 might stretch out one to two miles on the trail. The “drovers,” as the cowboys were called, worked in pairs, one on either side of the line of animals. The best of the men were usually assigned to be “pointers,” working near the head of the line. Communication with those in flank and drag positions, was by hand signals, a technique adapted from Plains Indians, or by gestures with hats. The greatest fear was that cattle would be spooked and start running. But stampedes were not the only danger. Unpredictable weather, treacherous river crossings, rattlesnakes or boredom could create trouble on the trail. Nomadic Indians, still hunting buffalo on the plains, could also be a threat. When the cowboys finally reached the end of the trail they celebrated in grand style. Then it was back to Texas for another drive the next year. This entry was posted on Monday, January 2nd, 2012 at 4:42 pm. It is filed under Reflections & Other Things and tagged with cowboys, cows, history, kansas, texas, wild west. You can follow any responses to this entry through the RSS 2.0 feed.